In a new video advertisement for Puma, the world's fastest man promises to make Aguero faster with some drills — which are actually aimed at tiring him out. The passion expended by both sides made these among the most entertaining and frenetic 90 minutes of 2012-13. They also gave interesting pointers for 2013-14. 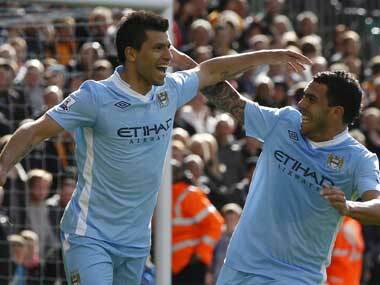 Manchester City's Sergio Aguero scored from a near-impossible angle to salvage a 2-2 home draw with Liverpool. Manchester United are now firmly in the lead of the English Premier League. #Manchester United F.C. #Manchester City F.C. 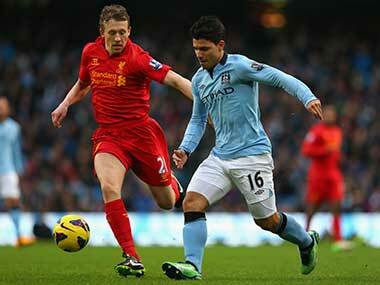 #English Premier League #Sergio Agüero #Liverpool F.C. Having yet to win a match in Group D, City are rock bottom with two points, yet victories over Real and in their final match away to group leaders Borussia Dortmund could see them squeeze into the last 16. Aguero has been declared fit, but midfielder Samir Nasri will miss the trip to his former club after suffering a hamstring injury against Real. The talk will stop as Real Madrid welcome Manchester City in the Champions League's most exciting fixture tonight. Here are the head-to-head battles that could decide the match. 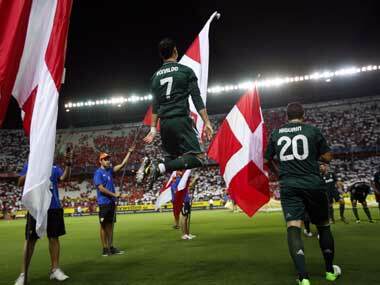 The Argentina international was carried off on a stretcher early in the first half of City's 3-2 win against promoted Southampton on the opening day of the Premier League season and has not played since. Aguero was carried off on a stretcher early in the first half of City's 3-2 comeback win against promoted Southampton and appeared in severe pain, but the injury is not to serious. 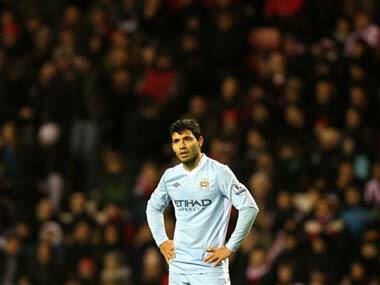 Mancini, who has Aguero's fellow Argentine Carlos Tevez available again, would not give details of the injury. The English champions signaled their intention to take the continent's second-tier competition seriously as a virtually full-strength team beat Ajax 2-0 and Manchester City won 2-1 against Porto.